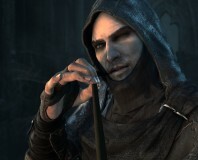 The next instalment in the Thief series has been unveiled for PC, Playstation 4 and 'other next generation consoles' by Eidos Montréal. The fourth game in the series, the new entry will frustratingly be simply called Thief and will once again feature master thief Garrett, the protagonist from the previous three titles. Returning again to a first-person perspective, levels will be designed in a non-linear fashion to give players different options as to how to deal with each obstacle and challenge they are presented with. Eidos Montréal has had previous experience in translating classic franchising into a more modern console generation following the success of Deus Ex: Human Revolution. 'Our goal is to deliver the fantasy of being Garrett, the master thief, and we're building this game around that core experience,' added D'Astous. 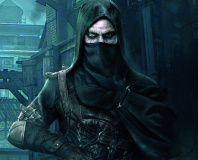 The fourth Thief game is scheduled for a 2014 release and is being published by Eidos' owners, Square-Enix. Previously teased as Thi4f as far back as 2008 with an official announcement in 2009 saying that the fourth instalment was on its way, this update does show that the game has at least had the '4' extracted from being lodged within its name. 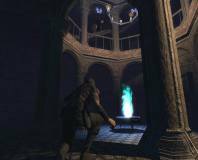 The first Thief game, Thief: The Dark Project, was released in 1998 and helped to cement stealth games as a genre. The original developers, Looking Glass Studios, also developed the successful sequel Thief II: The Metal Age before the series was taken over by Ion Storm for the third title, Thief: Deadly Shadows, released in 2004. Ion Storm, also responsible for Deus Ex, was acquired by Eidos Interactive in 2005, explaining how Eidos Montréal has ended up with both the Deus Ex and Thief franchises on its plate.